Dafabet have a great second goalscorer free bet offer. This is a very useful reload offer, as you can combine this offer with Double delight/hat-trick heaven. Place a qualifying bet of £1 to £50 on a first goalscorer. If your player scores the second goal you get a refund as a free bet. Ideally you should choose the same player for Dafabet second goalscorer and Betfred DDHH. Then you are covered for if your player scores either the first or second goal of the match. Look for a close odds match between Dafabet and the exchange lay odds. Simply place a bet of £1 to £50 on a player in the “first goalscorer” market at Dafabet. Then lay your player in the “first goalscorer” market at the exchange for a small qualifying loss. If your player scores the second goal, Dafabet credit the free bet by 0700 hrs the following day. 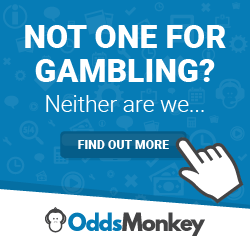 The free bet can be easily converted in to profit. Simply back and lay a high odds selection in Stake Non Returned mode using the Trickybet calculator. Price boosts do not qualify. The offer is open to UK and Ireland customers only. The free bet is credited by 0700 hrs the following day.